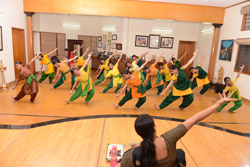 Shankarananda Kalakshetra maintains a strict code of conduct to ensure a high quality and standard of training. The colours: Green Salwar, Yellow kurta and Green dupatta/waist cloth. Recommended that the material is cotton and devoid of bling. 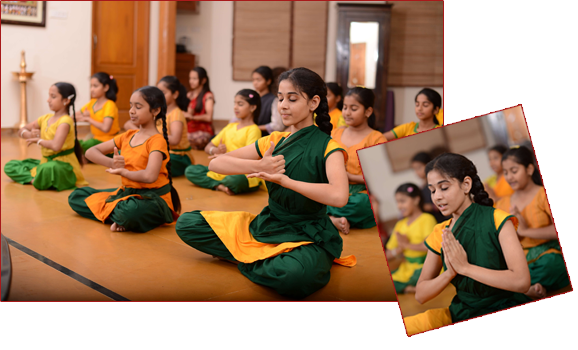 Girl students may please braid their hair or have it tied in a bun to ensure that there is no disturbance while they dance. Male students are expected to come in white Kurta Pyjama with waist cloth or wear the traditional practice dhoti. Students are expected to reach the dance class ten minutes before the scheduled start of class. All personal belongings will be purely the student’s responsibility.